Good. 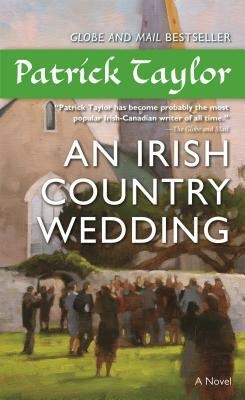 An Irish Country Wedding (Irish Country Books) by Taylor, Patrick. Mass market (rack) paperback. Glued binding. 512 p. Irish Country Books, 7. New. Mass market (rack) paperback. Glued binding. 512 p. Irish Country Books, 7. I have enjoyed all of Patrick Taylor's books and this one is no exception. It is a lovely, sweet story. I wanted to be a part of it all. Absolutely love Patrick Taylor's books. I wait with bated breath for his next book.